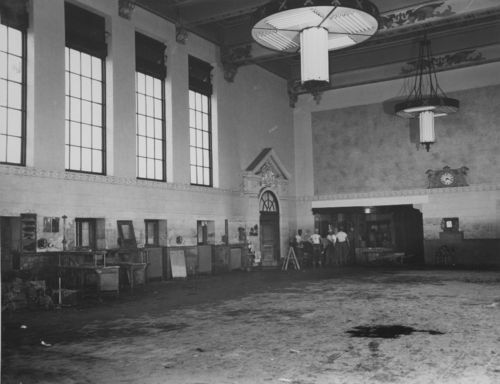 An interior view of the Union Pacific Railroad depot after the 1951 Kansas River flood, Topeka, Kansas. The photo shows workers cleaning after the flood water receded. The water line is visible on the walls.